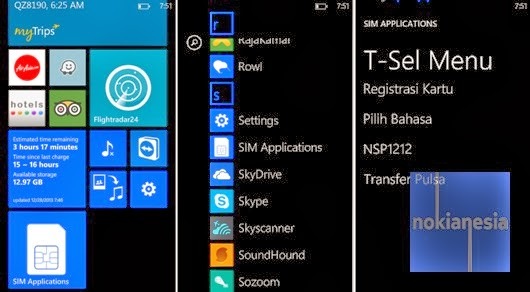 For all the user of Nokia Lumia with Windows Phone 8 that frequently using your built-in Sim applications or services, now you can use "Sim Applications" by Nokia. "Sim Applications" is a small application that simplify you to accessing your built-in Sim application or services. You shouldn't have to go to Setting > Cellular > Sim Applications anymore to access Sim Applications.
" This app provides a shortcut to the supplementary SIM services provided by your Operator e.g. SMS info services, Directory services or Mobile Money. Please note that these services are Operator-dependent and may not be available in your country."